It is time to reclaim our community. The rash of graffiti “tagging” is one that began slowly, but that has spread across the community in astonishingly rapid fashion as “taggers” tag buildings, fences and cars. Tagging is all about laying claim and bragging rights, and not about graffiti as art (which can be just as problematic but at least in skilled hands can look artistic). Tagging is about ownership. Graffiti taggers are using cans of spray paint to claim our community, one building, fence and car at a time. They have no regard for personal property, and no right to attempt to lay claim to things that do not belong to them, a fact on which I think most of us can agree. And frankly it looks like hell. Tagging makes our community look like a war zone, where people have stopped caring and where anyone can simply take out a can of spray paint and merrily claim us with their pseudonym. But it is time for the tagging spree to end, because we need to reclaim our community. This week the RCMP charged a local individual with mischief. More charges are likely to come, and more taggers are likely to be identified, but I have grave doubt that this strategy alone will prove to be the solution. 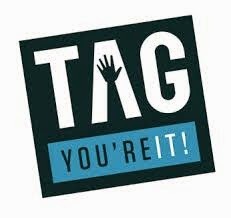 I believe we all have a role to play in this, because leaving tags in place encourages more tagging, and so we must work to undo the damage they have done. But we have an even greater role, because I believe we have been complicit in this. We have made it far too easy for the taggers to flourish, because we have allowed areas of our city to fall into decay. The Penhorwood condos, the Twin Pines motel, and all the other vacant and empty buildings are powerfully attractive to taggers. Allowing buildings like this to stand allows the taggers a canvas, and as they cover these buildings they become far bolder, tagging buildings that are not vacant, and fences, and cars. One of the most powerful deterrents to tagging is building a strong and beautiful community, one in which such tagging is not tolerated and where it seems discordant. As long as vacant buildings are allowed to stand, as long as we don't remove the tags as soon as they occur, and as long as we spend more time punishing the taggers (with punishments that, if we are honest, are unlikely to deter them) than building strength and resiliency in our community, we will very likely continue to experience this tagging spree. We join together to do spring clean ups and remove the detritus and garbage left over after a long winter. We demand our city tear down vacant buildings they own, and to require owners of other properties to do the same if they have left the buildings abandoned and derelict. We begin to remove the taggers' canvas, slowly squeezing them out of existence. We provide incentives of some sort (tax breaks, perhaps?) to those who invest to beautify their properties. We work on developing our neighbourhood groups, perhaps creating groups that maintain our own neighbourhoods and keep them free of trash and tagging. We develop neighbourhood gardens, shared spaces where we grow together. We work less on "demonizing the tagger", as my wise friend Dave Martin said, and work more on creating a beautiful place where tagging would simply seem out of place. And, perhaps, we provide some spots in the city where graffiti is welcomed, large mural projects like the skateboard park in Borealis Park downtown, and where serious graffiti artists (and they do exist, but often as quite a separate form from taggers) can practice their art. We reclaim our community from the taggers by working on developing that vibrant and energetic downtown core that we have envisioned, and we don't need to wait for developers and a finished waterfront to do it. We can do it right now. We have begun with things like the Urban Market during the week, but how welcome it would be to see even more events occurring downtown, during both day and evening hours. If we can attract more people to the downtown core, turning it into a vibrant place full of people, we limit the taggers' opportunities to do their damage in solitude, because they will be observed. We reclaim our community by changing the canvas. And nobody can do it but us, so if we really wish to see the rash of tagging end then I think we must acknowledge something. Fort McMurray, we've been tagged - and now we're it.